This is really great, guys. Nice work! Will have people tinkering for months! Couple of things. Does the buffer change the sound? 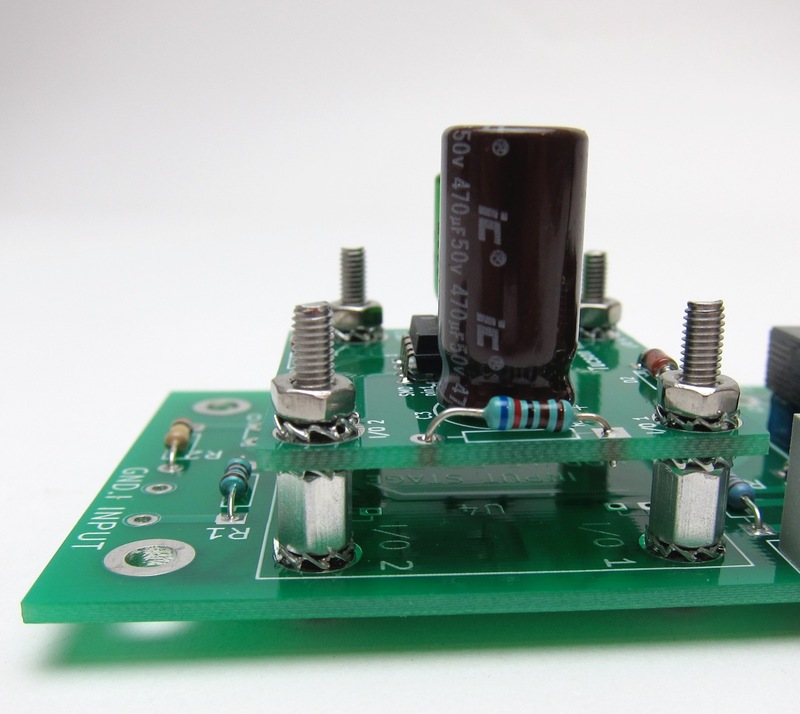 Does the autotransformer need a shield? If I wanted to put some mu metal around the Edcore, is there space? Here's a 2X magnification of one of the pictures in post #2, in case anyone is having difficulty visualizing the mother card / daughter card arrangement. Vince - No idea yet if the buffer actually influences the sound to a point that is audible through the transformer. I suspect yes, however I also suspect it's going to be a minor difference as it's a buffer. BUT -- the entire point is to try! This is the perfect chance to actually find out if a difference can be found that you prefer. As for a shield, it certainly can't hurt, and there is room, though you'll need to fabricate something yourself. if you have a really good shielded encapsulated transformer, you should have any issues w interference correct? This looks great! M2 remains one of my favorite/daily amps, so I will absolutely try this version and all of it's flavors. I absolutely love your idea! M2 is also one of my favorites, actually, I love it to be so non-fatiguing! That you two now give an option on the input buffer is great! As you both do nothing without thought (at least here at diyaudio ), why did you chose to use screws but not the usual board connectors? Just curious and want to learn, if the screws are as good I love the idea to combine mechanical and electrical duties! Ah, and I'm really interested in building one! The picture is just meant as an example of what I have in mind. Think those bolts are big enough? when will we see this in the store, or do we need to know a guy who noze a guy? chrisb - It will be available in the store, but exactly when I have no idea. Hopefully within a couple months, PCBs always seem to take much longer than we hope. Until then you might want to PM Mark and get on the list for a set of the prototype PCBs that he made... numbers are very limited.